Grafton District Services Club maintains the golf course with Grafton District Services Westlawn Golf Club arranging regular competition events throughout the year. Westlawn Golf Course is a 9 hole, Par 35 course situated within the Grafton Racecourse Complex. Access to the course is gained from Powell St.
Public Holiday morning sweepstake events. Westlawn Golf Club also annually arranges three Sunday away trips to regional golf courses and a weekend away trip. GDSC Westlawn Golf Club yearly membership is $11 plus GDSC membership of $16.60. Weekly 9 hole competition event (Single Stroke and Stablefors events on alternate weeks). Sunday morning 9 hole competition comprising a variety of events throughout the year (Golf Fixtures program for the year available from the club). The Ladies Golf Club is a social club where we conduct a regular Saturday morning 9 hole competition, as well as a mid week competition. Weekly events include single stroke and stableford events with partner events throughout the year. Championships and monthly medal rounds are also included in the programme of events. We conduct one weekend away trip to a regional Golf course during the year and arrange day trips to neighboring courses on occasions throughout the year. * Includes green fees and comp fees. Played over three consecutive Saturdays with an end of the year club presentation dinner. In January 2008, Grafton Bowling Club relocated to Grafton District Services Club which has provided us with 2 synthetic greens, together with a locker room and bowls office. The last Wednesday of the month is Triples, nominated team or single entry. 10th &11th September 2016 - 2 Day Carnival. The Grafton District Services Women's Bowling Club welcomes all new players to our friendly club. Names can be placed on the list in the Bowls Room, at GDSC reception or you can call (02) 6640 3220. Names to be in by 8.30am and play starts at 9am. Cost to play is $8.00. Held during Grafton's famous Jacaranda Festival on Tuesday & Wednesday 30th & 31st October, 2018. Teams of 4. Teams can play both days or 1 day only. Entry fees are $100 per day per team. (including bowls, morning tea & lunch). This competition is a social mixed competition held to encourage new bowlers, both ladies and men to our clubs. We have winners each night and prizes at the end of the competition. a hot meat sandwich is supplied after play. 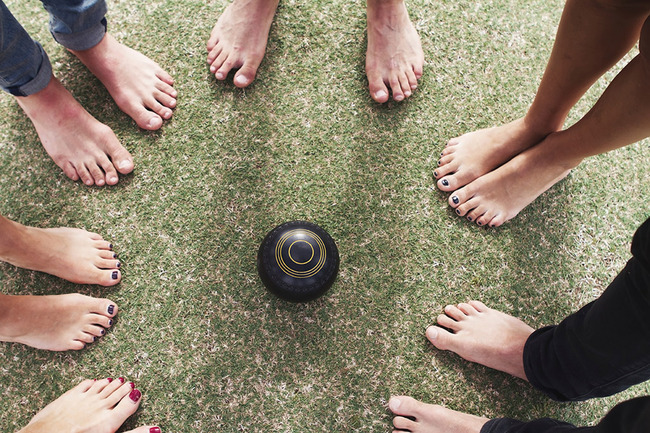 Dates vary but twilight bowls are held when daylight savings is on in summer months. Dates will be advised. This night is sponsored by the GDSC. The GDSC Swimming Club was formed in the mid 1970's and has operated since that time. For a short time only - the swimming club is offering to pay gate entry to the pool for the first 3 weeks attendance, so that you can see how it works. Offer is open to anyone over 18 years of age. ALL swims are on handicap times, with the emphasis on having some fun, conversation and competition whilst getting some exercise. 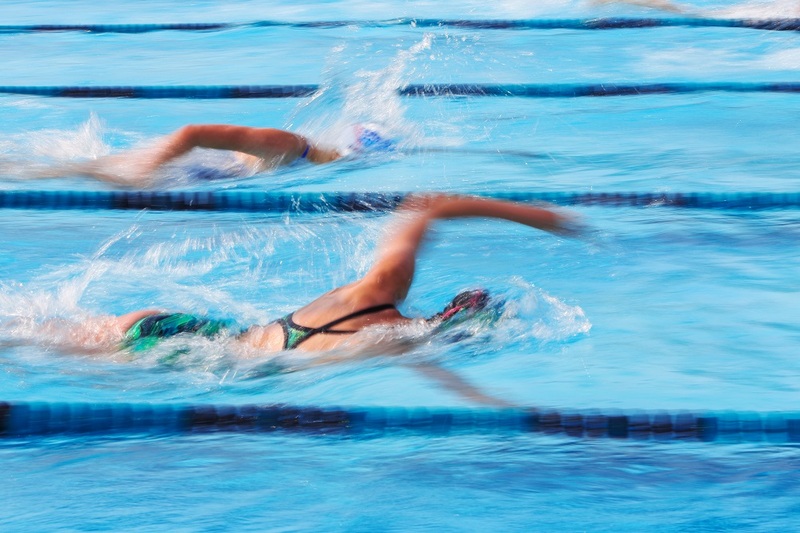 The club swims each Tuesday at 6.00pm throughout the year, summer in the Grafton Olympic Pool and winter in the South Grafton heated indoor pool. The program consists of heats of a 50 metre freestyle, 30 metre freestyle and a 30 metre form-stroke (backstroke, breaststroke or butterfuly), with finals for the 3 events following. The program generally takes no more than an hour, so we're finished by 7.00pm. The swimming club also puts on a free BBQ and refreshments after the swim back at the GDSC rotunda on the first Tuesday of each month. Club members also travel to various carnivals 2 or 3 times a year. When you decide to join the swimming club, you do have to become a member of the GDSC. GDSC offers two tennis courts for social use. Members can use the courts free of charge during daylight hours, at night there is a charge of $4.40 per hour electricity charge. Call 6640 3200 for further details and bookings.